The highest form of economic freedom provides an absolute right of property ownership, fully realized feedoms of movement for labor, capital, and goods, and an absolute absence of coercion or constraint of economic liberty beyond the extent necessary for citizens to protect and maintain liberty itself. In other words, individuals are free to work, produce, consume, and invest in any way they please, and that freedom is both protected by the state and unconstrained by the state. They measure scores under each of ten headings (Business Freedom, Trade Freedom, Fiscal Freedom, Government Size, Monetary Freedom, Investment Freedom, Financial Freedom, Property rights, Freedom from Corruption, Labor Freedom) and then calculate the (unweighted) average to generate the overall freedom index score. They have a useful profile for each country (including Ireland) and suggestions for further improvement. Of course an obvious critcism of the Freedom Index is that a) it's from the Heritage Foundation, and therefore could be seen an exercise in conservative political propaganda and b) it only addresses economic freedom - so freedom of the press, personal freedom etc. do not figure in their calculations. In fact, a look at the complete list of 157 countries for which indices are produced shows a strong correlation between liberal democracy and economic freedom (not to mention standard of living). Indeed, China - a poster child for some of unfettered free market capitalism, ironically enough - is ranked number 126 in the Heritage Foundation's scorings. The muted response to our success in the Heritage Foundation's ranking made me realise that we wear our freedom lightly in Ireland. 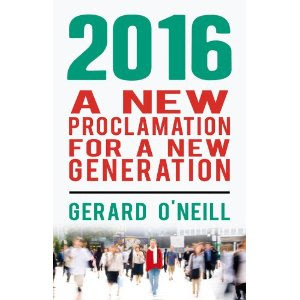 So much has been gained by and for the Irish people, but so much is taken for granted. 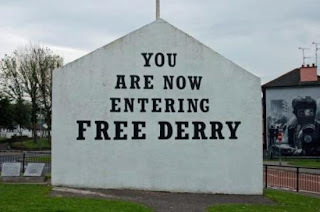 The BBC broadcast a fascinating documentary last week called 'No Go: The Free Derry Story' which provided a poignant reminder (for those of us who were around at the time) of the power freedom has to stir our imaginations and ambitions, and not just in Ireland. Free Derry was a time and a place where there were no police, no soldiers, no government bureaucrats and yet there was peace and order. Anarchy indeed! Of course there were the inevitable Republican and Socialist schisms and schemings in the background (and no libertarians! ), but there was something deeply moving about a community of 25,000 men, women and children taking their freedom and their responsibilities into their own hands. And one couldn't help but look at the people in the images of 1969 and think of the grim future that awaited their community and others throughout Northern Ireland in the decades to follow. But, for a brief moment, they had real peace and freedom. So here we are in 2008, nearly forty years later, experiencing a deeper, more secure peace and freedom on this island, amongst the freest people in the world. Now that really is making history.